These nine companies are either on the brink of Chapter 11 or already in bankruptcy proceedings. Either way, things look grim. The U.S. stock market is near all-time highs, but not everyone has joined the party. 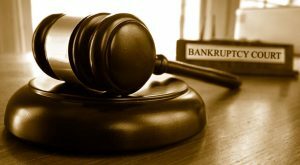 Even with a strong economy and a booming market, technological changes and other factors have pushed some companies to the brink of bankruptcy … and a few, over the cliff. In fact, 2017 has already seen several companies close their doors, particularly in a few key sectors. Retailers have been impacted by intense competition from Amazon.com, Inc. (NASDAQ:AMZN) and other e-commerce providers. As a result, bankruptcies in the industry are up 31% year-over-year. Well-known brands like Gymboree, Payless ShoeSource and rue21 have declared bankruptcy, though they plan to keep some stores open. RadioShack (bankrupt for a second time), The Limited and hhgregg have announced they will close all of their locations. Oil & gas bankruptcies have continued as well, though at a slower pace than the disastrous 2015-16 period. Lower oil and natural gas prices have taken their toll. In and beyond these struggling sectors, a number of companies seem unlikely to make it much longer, even if the economy continues to cooperate. Here are nine companies who may follow their bankrupt brethren, and who may not survive to the end of 2017. 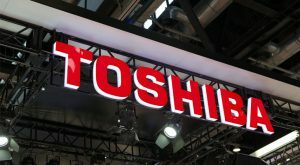 Toshiba Corp (USA) (OTCMKTS:TOSYY) is dealing with massive problems in its Westinghouse unit, which builds nuclear power plants. A supposedly innovative construction system for four plants in the southeastern U.S. created massive cost overruns. As a result, Westinghouse owes billions to U.S. utility companies Southern Co (NYSE:SO) and SCANA Corporation (NYSE:SCG). Its parent Toshiba guaranteed that debt — which could bankrupt the entire company. Toshiba does have a plan to get out of its mess. Westinghouse is declaring bankruptcy itself, and there’s the possibility of assistance from the U.S. and/or Japanese governments. Toshiba stock still has value — roughly $10 billion worth at current exchange rates. But Toshiba bonds are trading below par, and credit default swaps are pricing in an increasing chance of insolvency. The legendary Japanese conglomerate should be able to survive its nuclear misadventure … but there’s a real chance that it won’t. The sharks are circling mortgage servicer Ocwen Financial Corp (NYSE:OCN). Ocwen has been a target of regulators going back to 2014, while accounting issues and subpar earnings have further hammered OCN shares. The stock now trades below $3 — this after clearing $55 in late 2013. And the news is getting worse. The Consumer Financial Protection Bureau sued Ocwen in April, sending OCN shares down by more than 50%. State-level regulators in Florida and North Carolina have piled on, after the company already went through difficult processes in California and New York, among other states. Ocwen’s fate now seems to be in the hands of those regulators, and in particular, the CFPB. For better or for worse, that agency has the power to put Ocwen out of business, whether through direct action or through a fine that overwhelms the company’s already stretched balance sheet. Even if the CFPB has some mercy on Ocwen, other regulators looking to either protect consumers and/or make a name for themselves will have their say as well. That in turn, could lead to a “death by a thousand cuts” outcome for Ocwen. 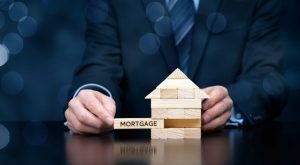 Ocwen has done what it can, selling servicing rights to New Residential Investment Corp (NYSE:NRZ) and even claiming in court that the CFPB itself is unconstitutional. So far, it has done little for the stock. And for Ocwen as a company, its future very well may be in the hands of government regulators — not its management. To be clear, Sears Holdings Corp (NASDAQ:SHLD) is almost certainly doomed, but it probably will make it through to Jan. 1, 2018. But probably isn’t a guarantee. Sears itself added so-called “going concern” language to its 10-K back in March of this year — an admission that if things go south, a restructuring could occur. And it’s entirely possible that everything could come crashing down before 2017 is out. Even if Sears Holdings does muddle through to next year, though the outlook looks bleak at best. Same-store sales for both Sears and Kmart are plummeting. The value of Sears Holdings real estate continues to decline along with other retail properties. Making it to 2018 might be a win for Sears Holdings. But even with Sears stock down 90% from all-time highs, it seems highly unlikely that SHLD shareholders will win in the long term. Bon-Ton Stores Inc (NASDAQ:BONT) seems likelier than Sears to be the next retail casualty of 2017. The company — which operates the Bon-Ton, Boston Store and Herberger’s brands, among other concepts — saw same-store sales decline 9.3% in its first quarter. The company closed its fiscal first quarter (ending April 29) with just $7 million in cash and more than $1 billion in debt. There’s simply no way Bon-Ton Stores can repay that. EBITDA guidance for FY17 is $115 million-$125 million. Interest expense will eat up nearly two-thirds of those profits. Capital expenditures should take up most of the rest. With the giant debt load, and a stock price now below 50 cents, BONT has no way to raise capital. And even with some of its debt maturing in years out, the roughly $7 million in the bank may not last until the end of the year. 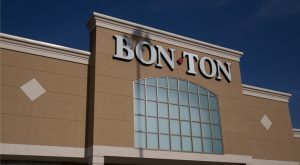 All told, Bon-Ton Stores seems highly unlikely to make it to 2018. Instead, the company will be another in the long line of recent retail bankruptcies. 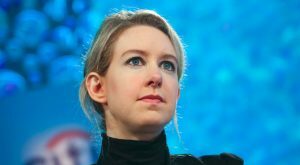 Less than two years ago, Theranos was a hugely respected “unicorn” with a valuation of over $9 billion, and its CEO Elizabeth Holmes was the subject of adoring cover stories across the financial media. But in October 2015, the Wall Street Journal called the company’s supposedly revolutionary blood testing into question. Lawsuits and board defections followed. Walgreens Boots Alliance Inc (NASDAQ:WBA) — which had opened 40 Theranos centers in Arizona stores — completely ended its relationship with Theranos last June. Meanwhile, Holmes once was considered the “female Steve Jobs” — and now her company reportedly is under federal investigation. Holmes’ paper net worth, reported at $4.5 billion, has dwindled significantly. It’s likely that net worth may hit zero, along with Theranos. As a private company (and a secretive one at that), details of the company’s financial situation aren’t available. Theranos raised hundreds of millions of dollars at its peak, and may have more left to spend. But there’s no plan here, as a new focus on the company’s “miniLab” tabletop blood-testing product seems likely to fail. Theranos exited its lab business and laid off roughly 340 employees, which should conserve cash. There’s little reason to believe, however, that Theranos can truly turn itself around — or that its technology has any real value. It very well could be that the cash is running out much faster than Holmes, and her company, are prepared to admit. 2017 has been better for oil & gas companies — but it hasn’t been great. Crude oil prices are at the lows. As a result, major O&G stocks like Exxon Mobil Corporation (NYSE:XOM) and Chesapeake Energy Corporation (NYSE:CHK) are down YTD, and in some cases significantly so. Offshore vessel provider Tidewater Inc. (NYSE:TDW) entered 2017 with some optimism. Its stock had tripled in just seven weeks after the U.S. presidential election. But in its fiscal Q3 report in February, the company warned of a possible restructuring. Then, in May, the company entered into a bankruptcy agreement, working with bondholders to preserve the company — and some value for TDW shareholders. That plan may not work. The current bankruptcy process has been delayed to allow an equity committee time to review the numbers, and argue that there’s value in Tidewater beyond what it owes to creditors. But with oil prices still low, and limiting offshore development, the company’s near- to mid-term outlook hardly looks positive. That might be enough for creditors to take control of all of the company’s assets — which they then likely would look to sell. And that would mean the end of Tidewater in yet another oil and gas bankruptcy. Biotechnology company MannKind Corporation (NASDAQ:MNKD) has pulled every lever it can at this point. A new CEO has come in. MannKind extended its debt agreement with one lender, and maxed out its draw from another. The company is looking at potentially selling part of its pipeline, and M&A rumors have flown fast and furious for some time. None of the moves have done anything for MNKD stock, and they may not be enough to get MannKind through the end of the year. The company’s flagship product — Afrezza, an inhaled insulin — simply hasn’t found any traction. 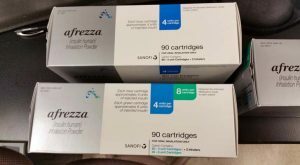 Without some sort of jump in Afrezza sales, MannKind almost certainly will run out of time — and cash. While the end may not come in 2017, it seems likely to come soon. At the very least, MannKind is at the mercy of its lenders. And in biotech, barring some sort of massive surprise, that rarely ends well. The optimism that greeted the LED industry earlier this decade has dissipated quickly. Cree, Inc. (NASDAQ:CREE) is bouncing off multi-year lows. Equipment manufacturer Veeco Instruments, Inc. (NASDAQ:VECO) has rebounded of late, but still trades well off 2011 peaks. But no LED company — and few tech companies — have had the trajectory of SemiLEDs Corporation (NASDAQ:LEDS). SemiLEDs went public in late 2010, and since then the stock basically has gone straight down. LEDS stock has lost almost 99% of its value over that time. It’s not hard to see why. Amazingly, in its fiscal first quarter, SemiLEDs posted a positive gross profit for the first time in over five years. The company has done nothing but burn cash, and has just $4 million left. Two somewhat bizarre attempts to raise cash through equity sales fell through, and SemiLEDs looks out of options. If anything, it’s a miracle SemiLEDs has lasted this long. A company whose demand came solely from an LED bubble boosted by Chinese government subsidies never had a real business model. SemiLEDs may manage to drag itself into 2018, but at this point even that seems unlikely. 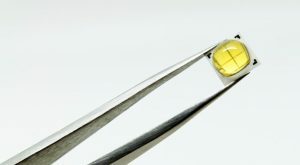 LED chips may be growing as a market. But SemiLEDs never managed any real market share — and it never will. 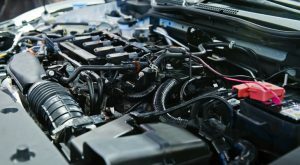 Automotive parts recycler Fenix Parts Inc (OTCMKTS:FENX) went public a little over two years ago at $8. Its time as a public company, however, seems likely to be short. FENX has gone pretty much straight down after short-lived post-IPO gains. The company hasn’t filed its 10-K for 2016, nor its 10-Q for the first quarter of 2017. The most recent filing, as of Sept. 30, 2016, shows less than $1 million in cash and over $21 million in long-term debt due over the next 12 months. Given that Fenix is burning cash — almost $3 million through the first nine months of 2016 — that seems to imply a looming cash crunch. FENX shares were delisted from the Nasdaq this week, leading to a 62% decline, and leaving the company’s market capitalization below $10 million. Given what we know — and what we don’t — even that seems like too much. Article printed from InvestorPlace Media, https://investorplace.com/2017/06/9-companies-that-might-not-survive-to-see-2018/.